I am so excited to share with you my Owl Moon preschool printables pack today! 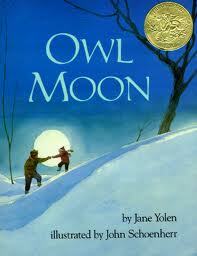 The Caldecott Award winning book, Owl Moon, by Jane Yolen and illustrated by John Schoenherr, is one of my favorite winter books. In the book, a young child goes off into the dark woods with her father to “go owling.” The gorgeous prose is almost poetry as the child discovers the cold world around her during her exciting nighttime trip. And the watercolor illustrations show nature in all its glory and beauty. I love this book, and I want my son to remember and love it too. I decided to create memories through some fun winter and owl inspired preschool printables to help him interact with the book. 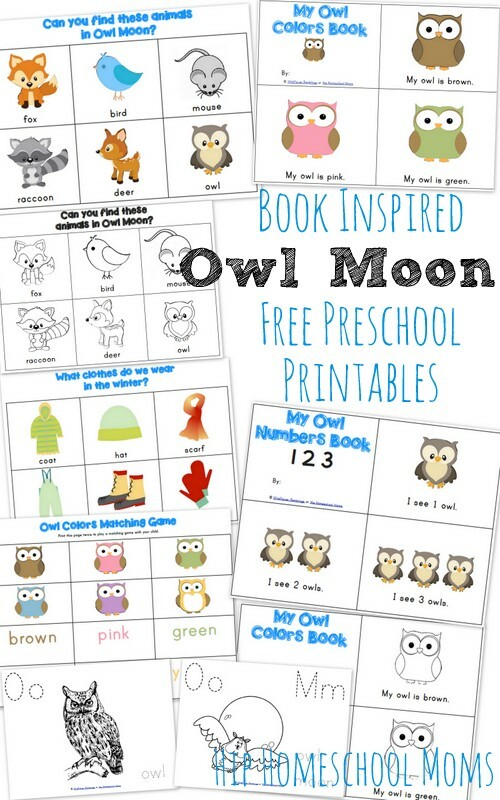 You can download the Free Owl Moon Preschool Printables here. It is always fun to further extend book reading with crafts, too! I created a Pinterest Owls Board solely devoted to cute owl kids crafts projects! Check it out so you can extend the book Owl Moon further at home with your little ones! I will be sharing Elementary Printables for Owl Moon to pair with these Preschool Printables at Wildflower Ramblings tomorrow, so make sure to check them out as well! Please let us know how you are enjoying Owl Moon and these preschool printables with your little ones! Happy Owling! Amy is a kindergarten teacher, M.Ed., turned stay at home mom to her boy and girl. She loves to watch her children learn through play during their preschool years, and is particularly interested in Classical & Montessori styled education. Amy blogs about homeschooling, natural living, honesty, and Jesus, among other passions. She enjoys cooking, gardening, photography, and serving as a Sergeant First Class in the Army Reserve. 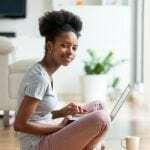 She hopes she can be a resource and encouragement to other moms. Wonderful! Thanks, Amy! Can’t wait to see the elementary printables. Thanks so much! Thanks so much for sharing these great activities. I’ll have fun doing some of these with my granddaughter when I go to visit!